At a graduation party for Big A and her best friend M we had a dessert bar where guests could make their own mini fruit pizzas using sugar cookies, fruit dips and chopped fruit. 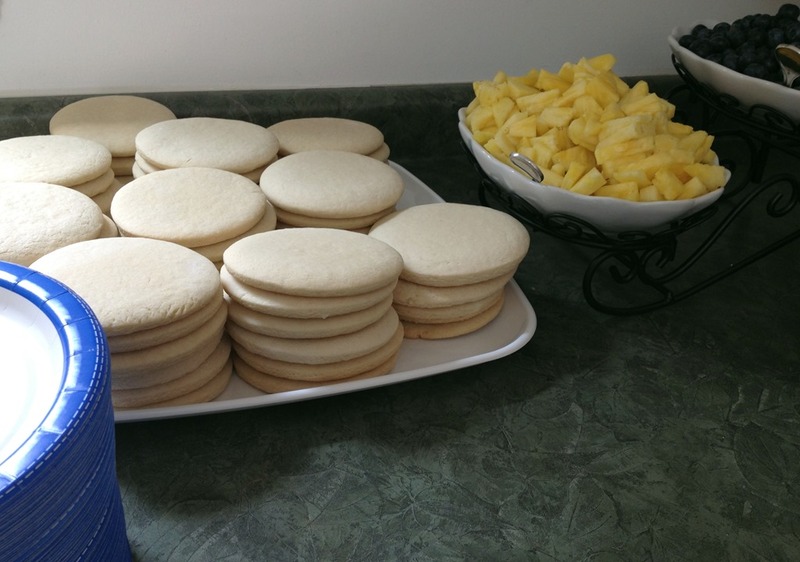 I made plain round sugar cookies (about 4” in diameter) to use as a base for the fruit pizzas. There were two fruit dips that we used as frosting for the cookies, a Berry Fluff Dip (which I didn’t get a good picture of) and a Creamy Nutella Dip. Using a fruit dip instead of a regular frosting makes for a less-sweet base for the fruit, which I prefer. 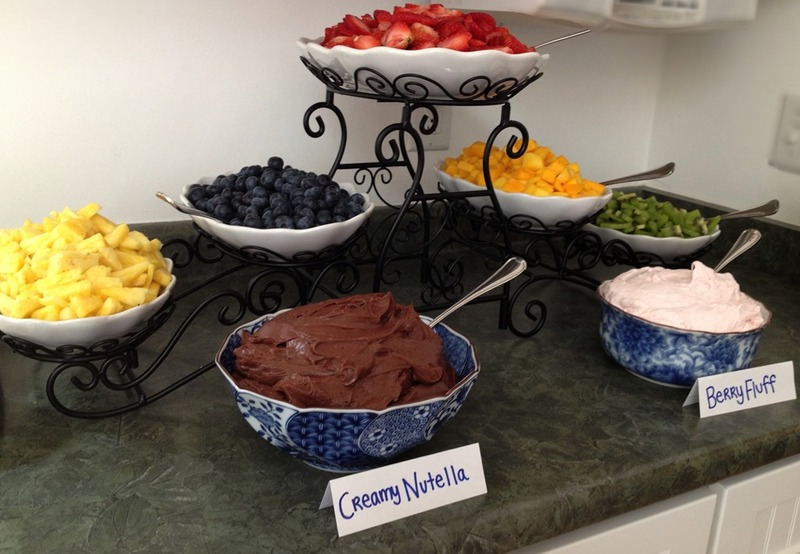 The Nutella fruit dip needs to be stored in the refrigerator, but should be served at room temperature. The dip will get very thick in the fridge, almost fudge consistency. Fudge. Nutella fudge. That is something to ponder for next Christmas. To top frosted cookies, there was an array of chopped fruit. We used fresh pineapple, blueberries, strawberries, mango and kiwi. 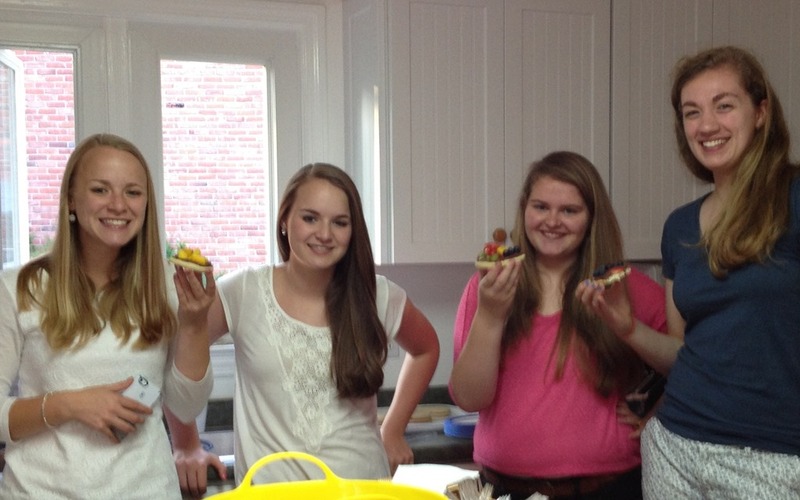 The graduates and their friends loved it! 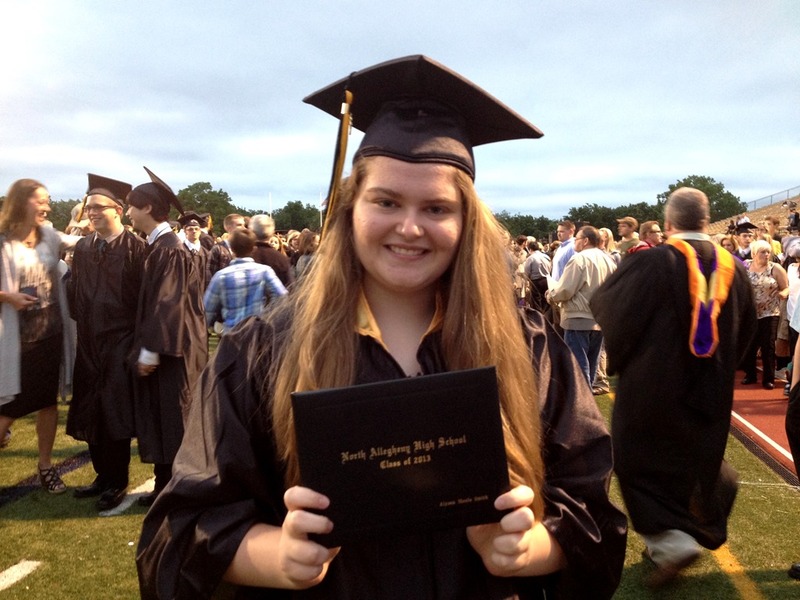 Congratulations Class of 2013. We are so proud of you Big A! Beat sugar, butter, sour cream and vanilla until fluffy. Beat in eggs. Add soda, salt and enough flour to make a moderately stiff dough (start with 7 cups and add additional flour if needed). Chill dough for 20 minutes to 1 hour for easier handling. Roll out dough to desired thickness (I like these fairly thick) and cut with cookie cutter. Bake at 375°F for 9-11 minutes; if they brown, it’s been too long. They should still look white when done. 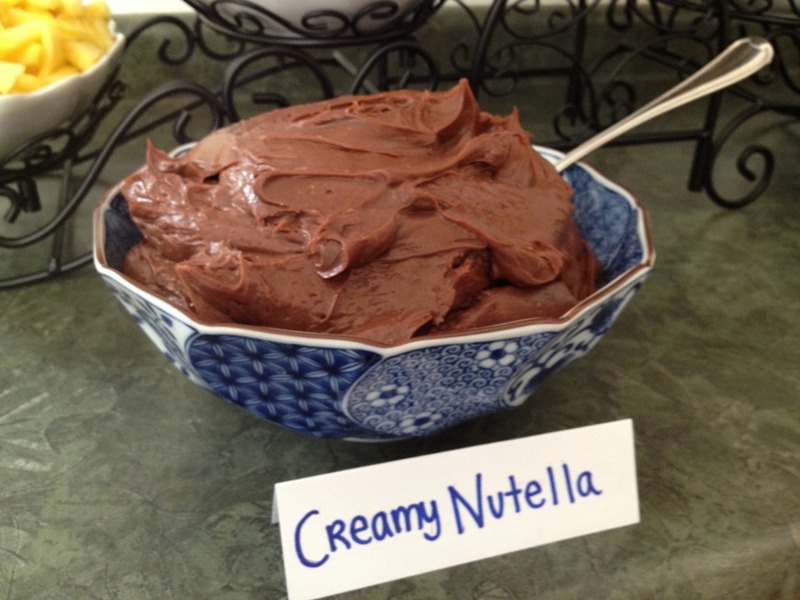 Warm cream cheese and Nutella slightly (about 30 seconds in the microwave) and then stir together with the cream until well mixed. Serve at room temperature. Store in the refrigerator. 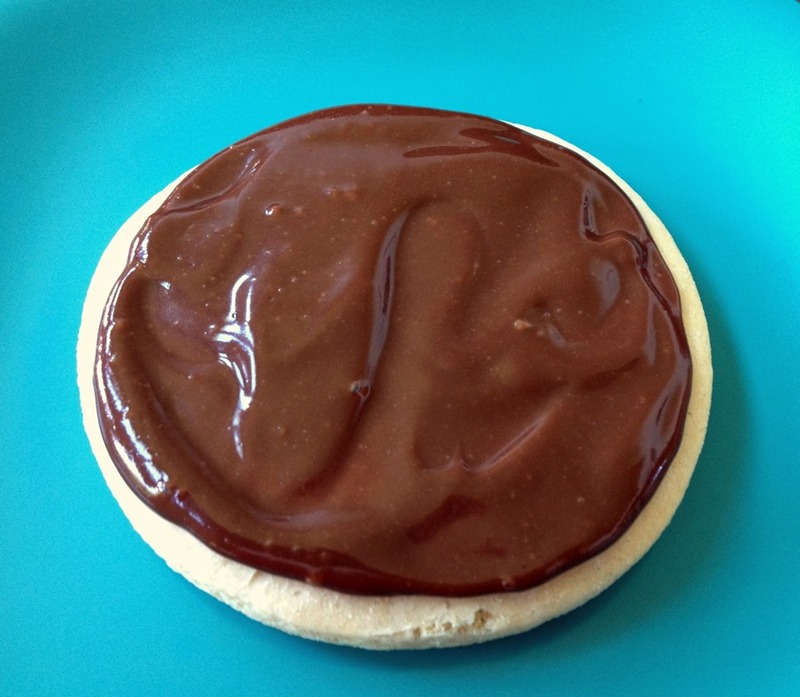 Cut out sugar cookie dough with a 3-4” round cookie cutter and bake. Prepare dessert bar with sugar cookies, fruit dips and chopped fruit (choose from strawberries, raspberries, blueberries, pineapple, kiwi, mango, nectarines, peaches, grapes). 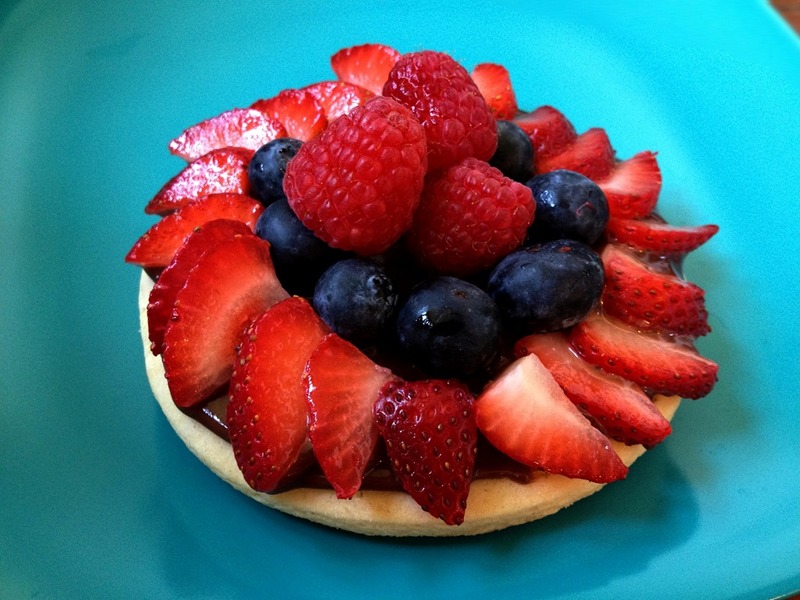 Guests can assemble their own cookie fruit pizza. Serve as a fruit dip or as a frosting for cookies or brownies. Mix all ingredients until well blended. Serve as a fruit dip or as a frosting for cookies.